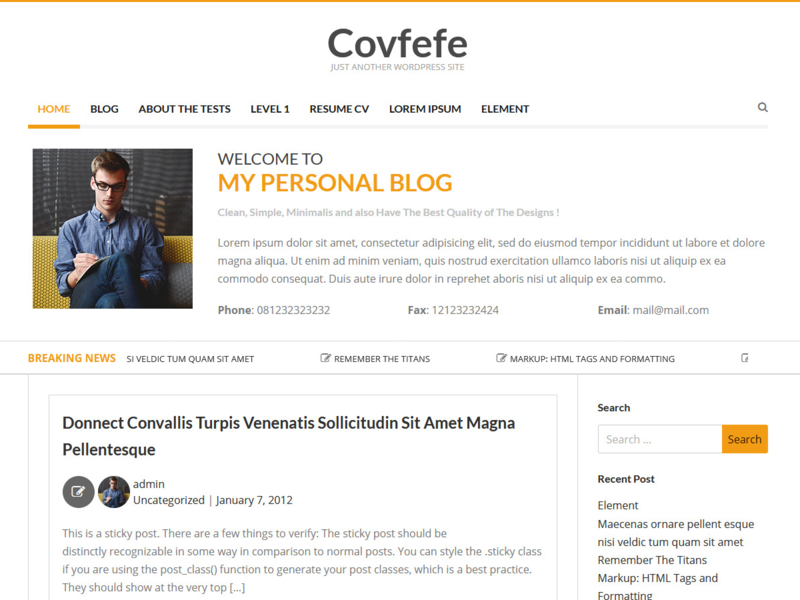 Covfefe is magazine , personal blog , responsive newspaper WordPress Theme based on underscores. It use Bootstrap CSS Framework and fontawesome. It’s user friendly theme with SEO Support using microformat. This theme suitable for blog and news website.